The US Senate confirmed Brett Kavanaugh to the Supreme Court, ending a bitter battle between Republicans and Democrats during a confirmation process that has transfixed the nation following allegations of sexual misconduct against the nominee, which he has strongly denied. Saturday’s confirmation is seen as a clear win for President Donald Trump in his efforts to further push the court to the right. Kavanaugh’s confirmation comes a little less than three weeks after Christine Blasey Ford publicly accused Kavanaugh of sexually assaulting her in the 1980s. According to Ford, the judge groped her and tried to remove her clothing at a party when they were both teenagers. Two other women also came forward with sexual misconduct allegations against Kavanaugh. The judge has vehemently denied the allegations. 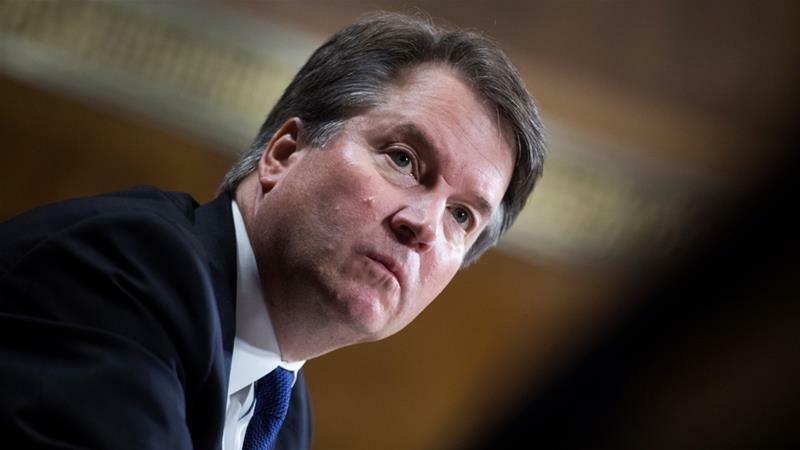 Ford’s allegations disrupted what had appeared to be a relatively smooth confirmation process for Kavanaugh. Following the accusations, both Ford and Kavanaugh gave emotional testimonies in front of the Senate Judiciary Committee. The testimony eventually led to a limited FBI investigation into the allegations. On Thursday and Friday, Senators and select aides read the secret FBI report. Republicans called it “very thorough”, while Democrats said the report “looks to be a product of an incomplete investigation”. Kavanaugh’s confirmation seemed all but sure on Friday when key Republicans and one Democrats, who had been undecided on the nomination, said they would support the judge. Protesters gathered on Capitol Hill prior to the vote, chanting “November is coming!” and “Vote them out!”. Some disrupted the vote in the Senate chambers. A smaller group of Kavanaugh supporters also gathered. Saturday’s confirmation may give Trump a boost as he continues to hit the campaign trail on behalf of Republicans in the lead up to November’s midterm elections. It may, however, also galvanise Democratic supporters.